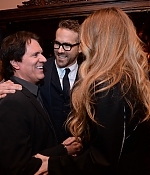 Blake’s film, The Town, ruled the box office this weekend, taking in $23,800,000. Meanwhile, Blake’s boyfriend Penn Badgley watched his film, Easy A, come in second at the box office with $18,200,000. The two films were both geared at completely different audiences: The Town is a gritty Ben Affleck-directed crime thriller set in Boston while Easy A is a teen comedy starring Emma Stone. The two films opened on the same weekend, sparking a friendly box office competition between the two lovers. The star-studded cast of The Town pose for a portrait session during the 2010 Toronto Film Festival at Hyatt Regency Hotel yesterday in Toronto, Canada. 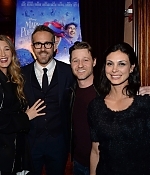 Co-stars Jon Hamm, Rebecca Hall, Ben Affleck, Jeremy Renner, Blake Lively, and Chris Cooper were joined by producer Basil Iwanyk and author Chuck Hogan, who wrote the original novel. “With his follow-up [to Gone, Baby, Gone] Affleck proves he’s no one-trick pony,” writes one reviewer. “It’s just as smart and well-executed as Affleck’s last, and with him back in front of the camera too, it delivers on all that promise of Affleck’s earlier career as an actor.” Kudos, Ben! I don’t really watch any TV, but she was great. She fought for that role. She deserves it. I didn’t have a whole lot of scenes with her and the stuff we did do didn’t make it to the final cut, but we certainly got to spend a lot of time off-screen together to enhance the depth of our brother-sister dynamic. It was a lot of fun. She’s a smart gal. LIVELY: Or am I happy that you don’t wear cashmere turtlenecks anymore. AFFLECK: Oh, Jesus Christ. I don’t know what pictures you’re looking at. How about: Would you work with me again? When your price is too expensive, can I hire you for scale? I want you to say it now so it’s in a magazine. LIVELY: Oh, gosh. You’re so tacky! I told you already that I’d never work with you again. Jason Bourne maybe. LIVELY: Of course I’ll work with you again. AFFLECK: I’m going to introduce you to Jason Bourne so that you’ll be grateful. AFFLECK: Now stop trolling the Internet looking for pictures of me and critiquing my wardrobe. Before I went to do this interview somebody said, “Blake is a fashion darling.” All of us can’t be fashion darlings, Blake. LIVELY: Well, people like you make me fashionable, because if there is no wrong there can be no right. AFFLECK: You’ve gotten so much more bitchy since we wrapped the film. LIVELY: But I think you have to say that I’m charming at the end of the interview. I think that’s the rule. 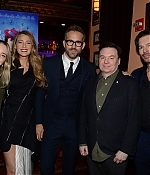 Blake Lively never made it to the snowy mountains of the Sundance Film Festival, but her name was heard up and down Main Street, uttered by some of the biggest names in Hollywood. Ryan Reynolds declared that the Gossip Girl beauty is going to be “flawless” opposite him in the comic book adaptation, Green Lantern. 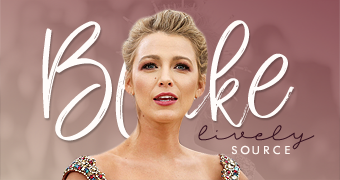 And Ben Affleck, who cast Blake last summer in The Town, had nothing but kind things to say about the 22-year-old actress, even though he’s never caught a single episode of the TV show that made her a star.